What a beautiful spring it’s been so far here in Hilton Head Island! If you’re hoping to make the most of this incredible weather during your spare time, then you’ve come ot the right SC real estate site. Today, I’m going to tell you about some outdoor events going on this month in the area! If you end up attending one of these recommend events, let me know what you thought of it! 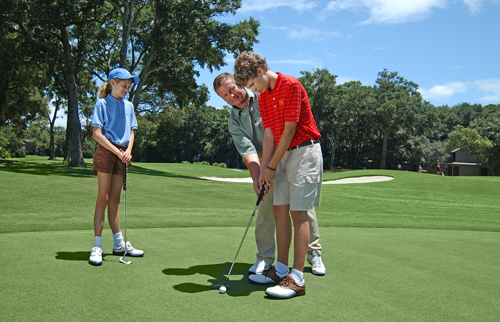 Community Events to Enjoy With The Whole Family in Hilton Head! Golf Demonstration: If you’re hoping to improve your golf game, I recommend you check out this free weekly golf clinic, led by Doug Weaver. Titled “Where Does the Power Come From,” this 45-minute clinic is a fully interactive class and participants are encouraged to ask plenty of questions. Salt Marsh Exploration: Come check out the area’s salt marshes and see live oysters, crabs and shrimp up-close in the process! During this tour, you’ll also learn how to trap and harvest blue crabs as well as learn how marsh plants adapt to their environment. Reservations required. Honey Horn History Walk: Come discovery Honey Horn’s 200 years of history in the community during this walk, which will focus on the planters in the area as well as the islanders who used to work on the site. Hands-on History Lesson: Learn about Hilton Head Island’s early history – including its early residents, the plantation era, Gullah culture and more – during this recurring event. If you’re interested in purchasing your own Hilton Head Island home for sale, be sure to contact me, David Pautler, your SC real estate expert. When you do, I’lll let you know about our various residential neighborhoods here, such as Wexford Club and Long Cove Club.